JOKKMOKK, Sweden (AP) — On a dirt road passing through sparkling lakes and spruce woods in the wilds of northern Sweden, a woman belonging to Europe's only indigenous people — the Sami — chants a traditional, high-pitched tune. Since the end of the last Ice Age, the Sami have wandered the vast landscapes of northern Europe, herding reindeer and nurturing a philosophy of harmony with nature. This time, however, the woman's Joik — a Sami chant that involves gliding over notes without lyrics — has a desperate tone to it: Her voice trembles and grows into a scream as four policemen remove her from the road. She had been protesting a British mining company's plans to open an open pit mine on ancient lands. The escalating conflict pits the Sami's lifestyle and stunning mountain environment against job creation in an area suffering population decline. The dispute has largely divided the population of Jokkmokk, a town of 5,000 people, into two camps — with Sami and environmentalists on one side and non-Sami locals and entrepreneurs on the other. While the town looks peaceful on the surface, the two camps have hurled venom at each in social media, and some fear the rift could upset the calm in an area where Sami and other Swedes have lived peacefully together for centuries. "I'm a Sami. And we are standing on Sami ground," said Henrik Blind, who says the mine directly threatens reindeer herding, and likens the project to "colonization." The Sami people number about 80,000, including 50,000 in Norway, 20,000 in Sweden, 8,000 in Finland and 2,000 in Russia. In Sweden, around 2,500 still make a living from herding reindeer and selling the meat. International organizations recognize the Sami as Europe's only indigenous people because of their unique cultural roots that predate the creation of nation states. In the past, the Sami wore colorful dresses and hats, lived in tents and wandered or skied with reindeer across vast grazing lands, which cover about a third of Sweden's territory. Nowadays, these people are well integrated into society, and only don traditional clothes for special occasions. They use snowmobiles, quad bikes and even sometimes trucks and helicopters to bring the reindeer to mountains in the summer and return them to the lowlands for winter. But while the Sami largely lead modern lifestyles, they remain closely tied to traditional beliefs in ways that are kept hidden from outsiders. "All Sami have a strong connection with nature and the land that their ancestors have been using," said Aile Aikio, curator at the Sami Museum in Inari, Finland. "The place where relatives lived has a strong spiritual connection for Sami people, and a balance in nature is everything to them." For generations, the Sami were oppressed by the ethnic majority that sought to assimilate them into mainstream culture, banning their language and customs and pressuring them to adopt Christianity over traditional shamanism. Today only about a quarter of all Sami speak the Sami language — but ancient beliefs have been kept secretly alive. "Traditional beliefs have been living beside Christianity, hidden away, as for a long time practicing traditional religion was a crime," Aikio said. The mining camp said the amount of land to be used for iron ore mining is so small it would hardly affect reindeer herding. Fred Boman, CEO of Beowulf Mining's Swedish subsidiary, said the Sami village closest to the mine has a herding area for its 4,500 reindeer of around 4,000 square kilometers (1,500 sq. miles) and the mine would use no more than 20 square kilometers (8 sq. miles). And, he said, mining would create around 250 jobs, as well as opportunities for local businesses. Kjell Ek, 62, a non-Sami local who is in favor of the mine, said he thinks the mining industry is crucial for the future of the town, which in the past 50 years has seen its population more than halve. "Stores are empty, houses are empty — if no one comes to this society it will slowly die out," Ek said. "Unfortunately, we can't live on reindeer herding alone." Sami herder Jonas Vannar, 34, said the reindeer need every patch of their grazing grounds to get enough food. He said truck transportation of reindeer is only used occasionally, to get around obstacles already placed in Sami territory, and whenever possible the Sami herd by foot. And he said movement of materials to and from the mine risks increasing road killings of reindeer; recently, a nearby train line killed as many as 1,200 reindeer in one season. According to Swedish law, the Sami people cannot claim ownership of the land where they have lived for nearly 9,000 years, but have the right to use it for herding. The mining dispute has led to renewed calls for the government to adopt changes that recognize Sami ownership rights over the land. Last week a group of Sami representatives met with the Minister for Rural Affairs, Eskil Erlandsson, to discuss their claims. Boman questioned whether giving ownership rights over such vast lands rich in resources to a small group of people, based on "birthright," would be democratic. "Should a few reindeer owners have the ownership rights, decide about, and receive incomes from all water power, mines and wind power?," he asked. Beowulf Mining's mining application is pending a review of a local environmental impact assessment, expected by the end of September. Erlandsson, the government representative responsible for Sami matters, declined to comment on the dispute. 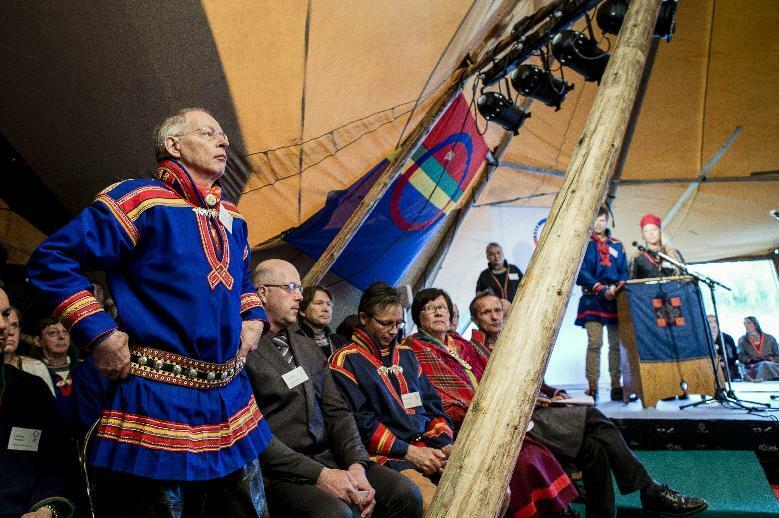 Meanwhile, Sami rights experts say Sweden is shirking its duties with regard to the Sami. 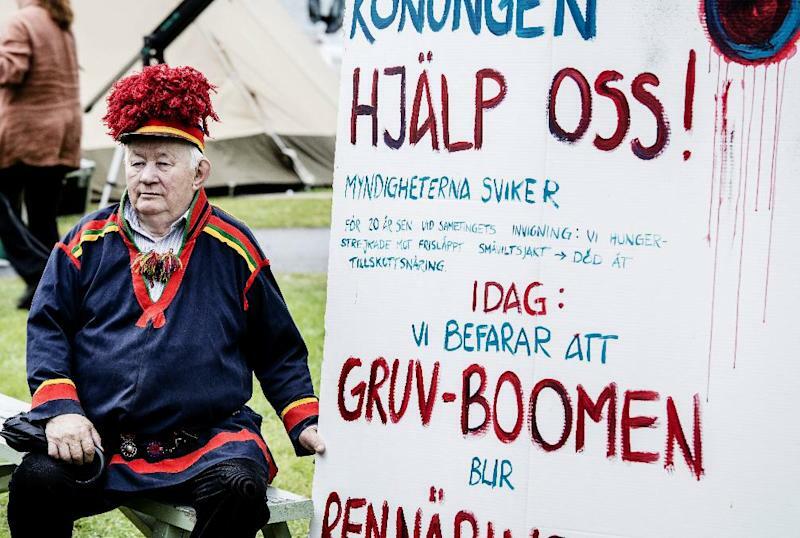 "Legally, Sweden has a long way to go to take full responsibility for the Sami people," said Christina Allard, an associate professor at Lulea University, who is not a Sami. She said Sweden — unlike Norway and many other countries — has yet to sign onto a legally binding international convention protecting the rights of indigenous peoples. "They simply have the right to use the land."